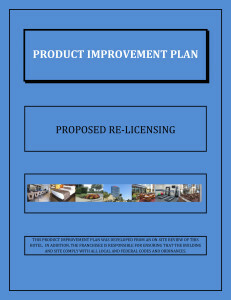 Product Improvement Plans can be a tremendous asset to the life blood of any hotel. Even though a PIP is designed to position a hotel for the future, it is also a very serious capital expenditure process. A little work on the front end of the PIP project can be most rewarding to hotel ownership, management and the renovation team. Consider the following tips….to help your team complete a PIP which will postitively affect the guest perception of the hotel. Product Improvement Plan documents can have mistaken or mis-leading information. Leaving these inaccurate pieces of data in the PIP can cost you substantial money. One of the requirements might read something like….“85 rooms have new wall coverings. These wall coverings are acceptable however the remaining rooms must be re-vinyled to match.” As an example….if the acceptable room quantity was actually 185 units, it could lead to an approximate $80,000 glitch in the cost analysis of the PIP. Even a few misleading issues added together could throw the PIP estimate off by several hundred thousand dollars. Bring all erroneous issues to the attention of the franchise’s PIP department. Get all the inconsistencies resolved, the wording changed and a revised PIP issued. Some organizations use a combination of their Chief Engineers, outside Contractors and an Operations Director to “wing” the estimating phase of a Product Improvement Plan. This leaves too many “gray areas” and overlaps that can cause budget embarrassments at the end of the project. Good examples are such project costs as waste management, freight variances, sales or use taxes, contractor overhead & profit percentages, purchasing fees, equipment rental, storage, etc. Hoteliers can expect a better PIP project if they use an independent consultant to estimate the wide variety of elements involved in executing and completing a Product Improvement Plan. Such services are not expensive. Information and documents produced by such consultants are beneficial to ownership, financial partners, hotel management and the project team throughout the renovation process. The mission is to accomplish the PIP renovation with the least disruption to the hotel guest and operations staff. The sub-components of this mission are bringing together a general contractor, architect/interior designer, purchasing group and consultants that all “buy-in” on bringing the project in “at/or under budget and on time”. Unexpected issues will surface in every Product Improvement Plan project, but each team member must commit to resolving those issues without direct effect to the overall budget or schedule. Need a little help understanding how John Fulton can turn your hotel PIP into a “Winner”? There is no charge to talk. Contact John Fulton for details. 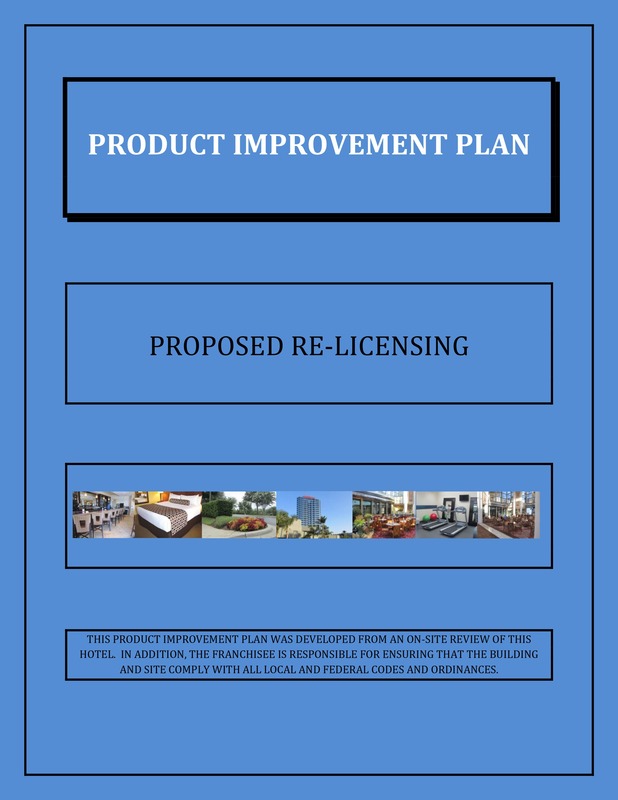 Hotel Product Improvement Plans (PIP) are usually encountered due to a re-licensing event or a change of ownership occurrence. The ultimate question is “How much does this PIP cost?” Knowing this dollar amount is critical in calculating the future financial success that the hotel property will generate for the ownership. When these business decisions must be made, there never seems time to properly obtain bids and quotes. For that reason, most hoteliers will settle for an “estimate” to identify the possible cost of a PIP. Three issues are critical in producing a PIP estimate that is trustworthy. 1. Identify the PIP requirements that affect large volumes of individual items such as guest room casegoods, commercial and guest room carpet, etc. * Review these items for subtle costs associated with each item that would add up to substantial project expenditures due to the quantity multiplier (such as guest rooms). On the reverse side, look for opportunities to reduce the per item cost. Even small reductions per item can add up to significant savings when dealing with 500 or a 1,000 units of the item. * Identify alternate methods of solving a PIP issue. Then request waivers to reduce the financial impact to the project. * These PIP comments can work to your advantage and still produce a product that will please the guest expectations. An example would be guest room casegoods that are not out dated in style, but are in need of repairs and revitalization. Such furniture can be given a fresh 5 – 7 year life by spending $250 to $500 per room. A far less cost than new casegoods at $1,700 to $2,200 per room. With this said, it is critical to have a hotel refinish company examine your casegoods and determine the quality of the existing pieces before assuming there can be a “savings”. 3. Include the additional costs that may be less obvious. Individually, these can be moderate costs but enough of them can severely push the project into an over-budget status, yet still incurred by ownership before the PIP is complete. * Life Safety: This category is difficult to anticipate. An audit by a local company is advisable since they know the current and anticipated regulations. Meeting these regulations can be a minor cost in fulfilling a PIP or a substantial impact if the existing equipment or critical components are out date or undersized. * Other costs: Warehousing, local delivery charges, freight/tax, waste removal, local permits, installation/G.C. contingencies. I’ve identified 3 critical areas to address when dealing with a PIP. I would like to hear your thoughts on what makes a PIP estimate effective. Leave your remarks in the comment box below. If you need help pricing out your PIP, watch this short video. 3 Common PIP Mistakes – Which Do You Want To Overcome? 1. Not getting prepared for the PIP. When PIP Auditors see worn or dirty conditions, it causes them to look deeper for deferred maintenance and other infractions that maybe PIP related. By failing to let the hotel show at its best…owners do themselves a great injustice. To make this mistake means more issues will show up on the official PIP document. To be properly prepared, a heavy emphasis should be placed on issues such as a fresh coat of paint on fire lanes, doors/frames and scuffed walls. Overgrown landscaping trimmed or removed, winter kill shrubbery should be replaced, carpets/furniture/light fixtures cleaned and repaired while storage rooms should be cleaned out and re-organized and guest rooms in top condition. The last point in getting prepared for the evaluation is just as valuable as the above items……be present for the PIP “walk-thru”. Not only will you will gain valuable insight from the PIP Auditor, you will be more effective when it comes time for a later face-to-face meeting with the “brand”. 2. Not taking time to eliminate all errors in the PIP document. Scour the document for comments that are not representational of your hotel. On a recent PIP, I discovered a requirement of replacing the mismatched guest room bath floor tile. Upon further investigation there was not an incidence of mismatched floor tile….anywhere. “PIP Auditors” often see several properties a week; often two in a single day. The reality is that they or the support staff may inadvertently cross-over notations from another property. If the above mentioned PIP were priced out without questioning that issue, it would have amounted to $500 to $750 per room; falsely impacting the PIP project by approximately $120,000. Especially “scrub-down” the guest room obligations, since any one faulty requirement in this area can heavily impact the PIP cost. 3. Failing to evaluate each PIP requirement against guest satisfaction, price/value and revenue generation. All PIP documents contain requirements that will have varying levels of influence on guest perception and hotel revenue…..and each has a price tag. There may be requirements that relate to signature issues specific to the “brand”. Because of their importance to the franchise, these almost always are not worth the time to negotiate. However, other issues maybe based on general feelings of what that franchise believes will “take care of the guest” in their special way. In addition, other issues may be addressed due to “condition” (or degree of worn-ness). Now is the time to apply “creative problem solving skills” to look at every angle of the last two categories. Can items on the PIP be reconditioned successfully at a lower cost to gain several more years of use versus replacing now with an expensive new product? Can certain PIP requirements be re-scheduled into year 2 or 3, to allow revenue producing projects to be accomplished early in the PIP renovation? This is important….approach the “brand” involvement as a valuable associate that brings specific strengths to your future success. Therefore, after you complete above items 1 – 3, schedule a face-to-face meeting with the franchise representative. Based on your hotel’s guests…..discuss the effect of PIP items that add strength to the hotel and those that are counter-productive….due to their nature or un-recoverable cost. Work to produce common ground for a win-win business venture before you implement the PIP renovation. I once had a hotel General Manager tell me that his company could not make him run a bad hotel. In this statement I took it to mean that he had to do what it took to make the hotel experience appropriate for his guest. Don’t’ let a PIP miss the mark of satisfying the guest. There will be items that are not covered on a PIP. Therefore, take the opportunity to “touch” other needy areas, support systems and equipment not mentioned in the PIP. Evaluate these items based on bolstering guest satisfaction or enhancing revenue versus the dollar spent. I’ve shown you 3 reasons to get on top of your PIP process. But, I have intentionally left out many others because I would like to hear your thoughts on the matter as well. Leave your remarks in the comment box below. The Power Of A “Black Box” – Are You Using It? Attention to detail is always a must for hospitality R & M and CapEx! Although I have shared this story many times verbally, this is the first time I have committed it to paper. I attribute the story to two highly respected hospitality friends of mine; Bob Brock (nationally known hotelier who purchased the 5th franchise of Holiday Inns in the 1950’s) and one of his most valued General Managers, Willard Brittin. Although both have passed-on, I heard both men tell the story deep from their heart…..to point out to hotel staff and management “the importance of attention to detail”. The “Black Box” of their object lesson is imaginary, yet effective! • The owner of this Black Box is to carry it to a remote location within the hotel or on the hotel property, leave it behind and return to their office using a different route (through both guest and non-guest areas)….all the while looking at the many details that are noticeable (floors, finishes, lights, fabrics, mechanical, hardware, exteriors, landscaping, paving, etc.). When faulty issues are discovered they are to be noted and converted into “work orders”. Some concerns may be simple Repair & Maintenance projects while other discoveries will require future CapEx as a solution. • In one week the owner of the Box is to return to the location using a different route. Again, the importance is giving full attention to the items and issues that are exposed on this additional new path to the imaginary Black Box. Upon reaching the Black Box it is moved to its new home in another remote location. Its owner returns to their office using a totally different route, all the while “recording for action” any newly observed concerns. • Each week this task is to be repeated and “work orders” issued to correct various matters. This Black Box exercise will do much to place a hotel far beyond its competition in resolving those small details that the staff so often overlooks and guests see! Try it! Five key points in successful CapEx projects – are you using them? Positive results regarding Capital Expenditure issues or their accompanying renovations……do not “just happen” successfully. It goes to say, much work goes into converting Capital Expenditure Plans into actual working documents. Such tasks as gathering information from the hotel, imputing data into a CapEx format, identifying costs, wading through the approval process; are all required to roll out an “approved” Cap Ex Plan. If any of those Capital Expenditures call for a “project”, then there is much more work ahead. Although a brief article such as this cannot list every detail, it can identify some of the major issues that contribute to a successful CapEx project. 1. Leadership – Very early on, most hoteliers will identify a “project manager” to be the point-person and central authority to execute the CapEx work. As expected, a very large percentage of the project success will depend on this person’s ability to work with integrity as a team builder, motivator, and communicator; as well as dedicated to the success of the budget and schedule. 2. Partnership – An early-on collaboration between the project manager, management company and hotel’s senior staff will fine tune job site scheduling and proactively address various administrative Issues. Depending on the organizations’ structure, it is also advisable to keep the “hotel ownership” informed of the general progress. 3. Additional Specialists – Depending on the “scope of work”, other project team members that may be involved are architects, mechanical engineers, interior designers, renovation contractor, purchasing group, logistics company, specialty installers, etc. Strategic partnerships should be cultured between the project manager and each outside consultant. 4. Scope of Work Documents – These formal papers will need to be thorough, accurately defined and prepared in an easy to read format; since they are important directions to each member of the “project team” and cannot be taken lightly. Scope of work documents in collaboration with any project documents (see item #5 below) will define the specifics of what is to be removed, replaced, modified, refinished, etc. 5. Project Documents – Factors that also heavily contribute to successful CapEx projects are the development of accurately detailed drawings, thorough specifications and confirmed quantities. Pass on your techniques for successful Capital Expenditure Projects (click here). 4 Deadly CapEx Budget Oversights – Are You Making Them? Stolen CapEx Money – Are You Next? CapEx Planning – If Not Now, When?